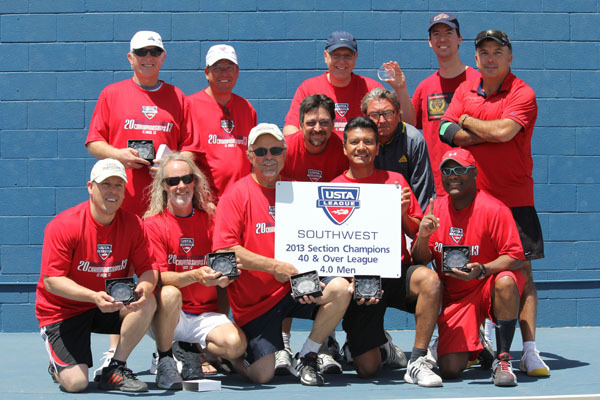 Familiarity didn't bring contempt, rather contentment for El Paso-area teams at the 2013 USTA Southwest 40 & Over League Section Championships. 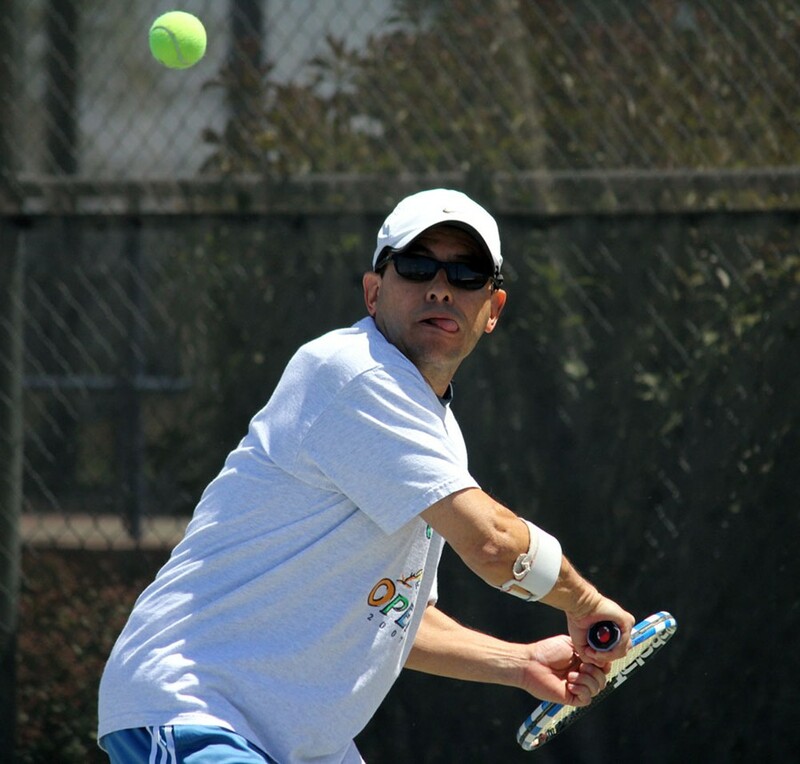 Hometown squads from the Sun City ruled the roost at the 2013 event, clinching four of the seven division crowns, owning one of the largest team tennis tournaments in the Southwest. The tournament brought together local league champions from across the Southwest region for three days of championship play at two sites in the Greater El Paso area, including Ellis Tennis Center and El Paso Tennis Club. In Women's 3.0, Greater El Paso's squad out of Tennis West Sports & Racquet Club played best in the tight matches to earn the division crown. The GEPTA ladies won three of their four matches by 3-2 scores, before finally easing (captain Amy Hancock) swept through the division with ease, posting a 4-0 record, and winning 14 of 20 total matches on the weekend. The Tennis West squad's four victories included two over the defending champion squad (Greater El Paso wildcard - captain Colleen Akers). In Women's 3.5, Another Tennis West women's squad (captain Patty Tidwell) captured a section title, winning three of their four total team matches by tight 3-2 scores, as well as 4-1 final-day decision over Southern New Mexico. 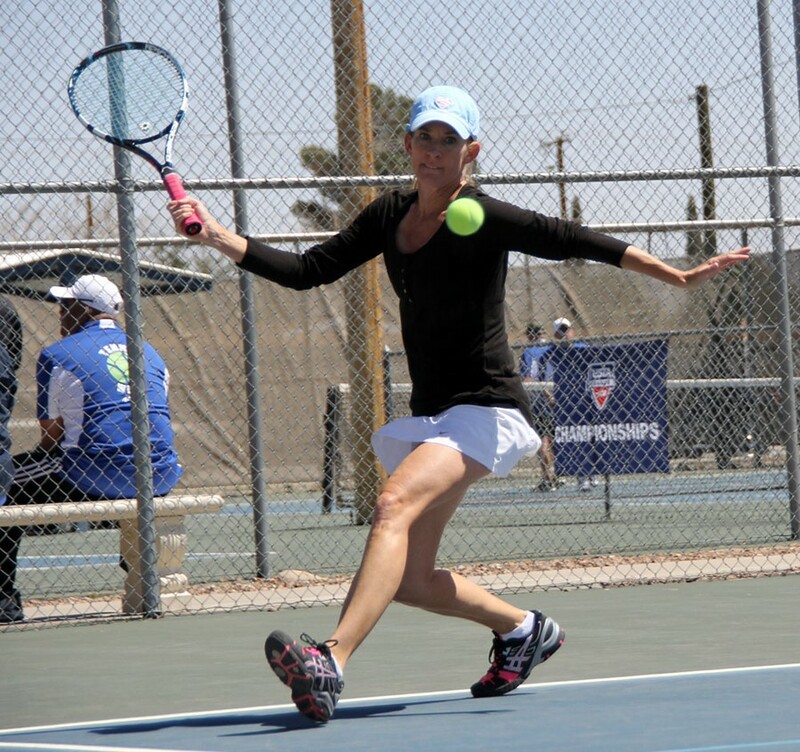 In Women's 4.0, Central Arizona's team playing out of the Phoenix Tennis Center (captain Kate Baker) squeaked past Greater El Paso (Tennis West - captain Sandra Pope), edging by the local squad by virtue of individual wins (16-15). The women's 4.0 division had three teams (including Southern Arizona's sqaud - captain Carol Bandy) separated by a single match. In Women's 4.5+, Central Arizona's women (captain Ellen Baumann - Arizona Country Club) put on the most dominating performance of the weekend, posting a spotless 3-0 record, and did not drop any of their 15 lines over the course of the tournament. In Men's 3.5, Northern New Mexico's team out of High Point Sports & Wellness (captain Mike Brown) kept their perfect season rolling, adding three more match wins in El Paso to run their season total to an unblemished 13-0. In Men's 4.0, Greater El Paso's team out of El Paso Tennis Club (captain Dennis McElveen) actually won less total individual lines than second place Southern Arizona (captain Jim Ruhman - Hilton El Conquistador) but proved to be unbeatable in close matches, winning four of their five team matches by 3-2 scores, with one of those coming over the second-place SAZ team. In Men's 4.5+, Greater El Paso's squad out Coronado Country Club (captain Samuel Bernal) posted a perfect 4-0 record downing both the Northern New Mexico squad (captain Steve Rivera) and a wildcard Greater El Paso team (captain Ed Delafuente). Each level's winner at this tournament now advances on to the USTA 40 & Over League National Championships held in early fall of 2013. This year's Souhwest event featured 31 total teams and more than 350 total competitors. Thanks goes out to our host site Ellis Tennis Center and El Paso Tennis Club for accommodating the three-day tournament. A special thanks goes out to the El Paso Independent School District for their help in getting the Ellis Tennis Center in shape for us, as well as to the myriad Greater El Paso Tennis Association volunteers that helped in a variety of capacities, including as site directors, player party planners, court monitors and a host of other duties. We would like to personally thank you all - Charlotte Johnson, Tina Gonzalez, Rodney Ladd, Melissa Arriola, Marcia Daniels, Debbie Carlsen, Elsa Pope, Minerva Al-Tabbea, Nancy Stockton, Debbie and Jerry Pippins, Jag Dandu, Annie Leutze, Patty Tidwell, Linda Kern and Bill Tepsick. Your help was greatly appreciated. USTA Southwest would like to express our sincere appreciation to our Section and USTA League sponsors who are helping us to promote and grow the game of tennis in the Southwest! Please support the following businesses as they are supporting tennis in the Southwest. Owned and operated by tennis players, All About Tennis is Arizona's largest tennis retail store. Located in Scottsdale, Ariz. The Scottsdale-based company provides medical equipment and supplies for independent living through mobility, low vision aids, power scooters, wheelchairs, rollators, fitness and physical therapy products, orthopedics, exercise equipment, diabetes supplies, as well as many other medical devices. Head/Penn is the national sponsor of USTA Leagues and has been for almost a quarter of a century. They provide balls for all of our USTA Section League Championship events, and are the No. 1 selling tennis ball in America. Stay up to date with the latest event details by Following us on all our our social media sites. Search 'USTA Southwest' on all of these platforms to stay social with us!